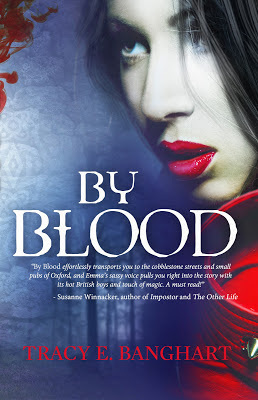 Today I'm part of the cover reveal blitz for my friend Tracy's wonderful book "By Blood". This book is awesome. I even gave it a blurb! One of my biggest role models when I was in high school was Buffy Summers, of Buffy the Vampire Slayer. Growing up, I constantly felt like I had to prove I was just as strong/smart/brave as the boys. And here was Buffy, a short, dainty blond chick who was constantly underestimated…and then totally kicked people’s butts. The truth is, being a girl can be awfully scary sometimes. It’s just a fact of nature that we’re often shorter or weaker than our male counterparts, and that can lead to moments where we feel powerless or out of control. Dad moved to stand behind me, then simulated a slow-motion attack so I could demonstrate as I explained the best techniques to evade or incapacitate an assailant. I walked the girls through “SING” – solar plexus, instep, nose, groin – and they laughed at the funny face Dad made when I pretended to hit him in the crotch. Now came the best part—the part that got the oohs and aahs. Dad reached over my shoulders and before you could say “speeding ticket” I had him on the floor, belly up on the mat. The girls started clapping and a couple laughed in surprise. Dad grinned up at me. I loved that he let me lead the class, and that he was okay with me throwing him around in front of a bunch of girls. Not all cops were cool like that. Not all Dads either. There are lots of places to take self-defense classes, and resources online and elsewhere that can give you tips on how to protect yourself. As Emma says, you don’t have to be in great shape or a black belt to save yourself in a scary moment. All you need is knowledge – and maybe a little practice! Doesn't Tracy's post make you want to read By Blood even more? 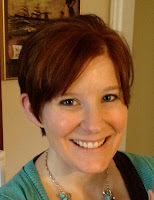 Tracy’s next novel, Moon Child, a companion to By Blood, will be available this August!